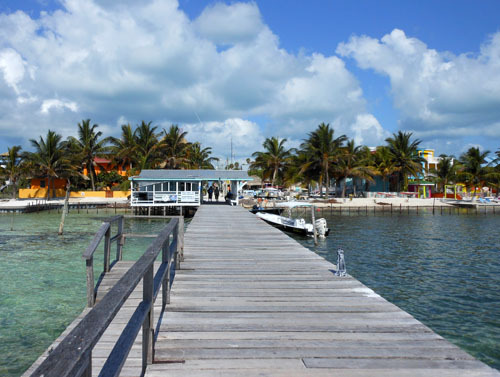 Caye Caulker is a small island situated just off the coast of Belize City that can be reached directly by water taxi. One way tickets cost 20 BZ$ and returns are 35 BZ$, it is worth noting that return tickets are valid for 3 months. There are 2 water taxi companies that run stops to both Caye Caulker and San Pedro on Ambergris, the San Pedro Express and Caye Caulker water taxi, the latter is Belizean owned but the prices and routes are the same for both. 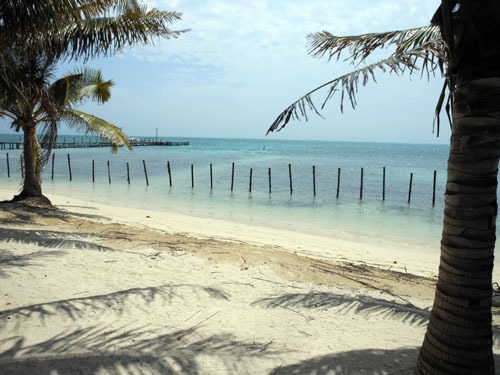 Caye Caulker is a small enough island to allow you to easily walk around, however if you are feeling particularly lazy you can jump on a golf cart taxi or rent either a bicycle or golf cart. There are no vehicles on the island except for some small tractors used to collect rubbish and deliver goods from the docks. The island has a very laid back feel to it, with a key motto being “Go Slow”. The locals are very friendly and the area feels safe both in the day and at night. Activity wise there are a range of tours available from half day snorkelling, to scuba dives, to night time crocodile watching or you can take sailing lessons, rent a kayak or simply relax with a book. Despite it being an island there are not a lot of beaches to choose from, in fact there are few sandy patches big enough to class as a beach. This is mainly due to the hotels privatising areas of beach, leaving very few places for non-hotel guests. As the island is inside the Barrier Reef the water tends to stay shallow for quite a distance and the best place to swim is at “The Split”, where the water is deeper. The area is known as “The Split” due to Hurricane Hattie which in 1979 blew a channel through the island causing a divide. During our time on Caye Caulker we stayed for 2 weeks at the Vega Inn apartments, which offer use of their beach and is very well situated. As we were then delayed, we moved for a further 3 nights to Yuma’s House, formerly known as Tina’s Backpackers. Although there is no beach at the hostel, they do have a private deck with a covered hammock area, making it a nice place to relax. Caye Caulker offers plenty of places to eat with a range of prices for most budgets, along with numerous supermarkets (strangely all owned by Chinese people), a bank with a cash point, a bakery, bars and clubs and several shops. If you are planning to visit Caye Caulker and then move on to other coastal areas, it is worth noting that snorkelling and scuba were all much cheaper than in places like Placencia. Plus, the island somehow seems to have a much more hospitable feel about it. 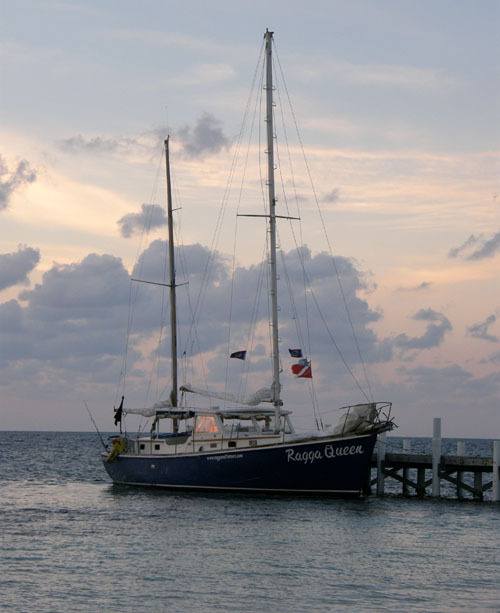 As a treat we decided to take a 3 day, 2 night sailing trip from Caye Caulker to Placencia with Raggamuffin Tours, the price was 700 BZE$ per person but included everything for the trip from food and drink to all camping equipment. We would highly recommend the tour and the guys at Raggamuffin for anyone wanting to do something different. The days were spent sailing slowly along the Barrier Reef, with stops to snorkel either at sea or from the shores of cayes. While in the evenings we would set up camp on the beach and be treated to amazing food, including freshly caught fish from the day.